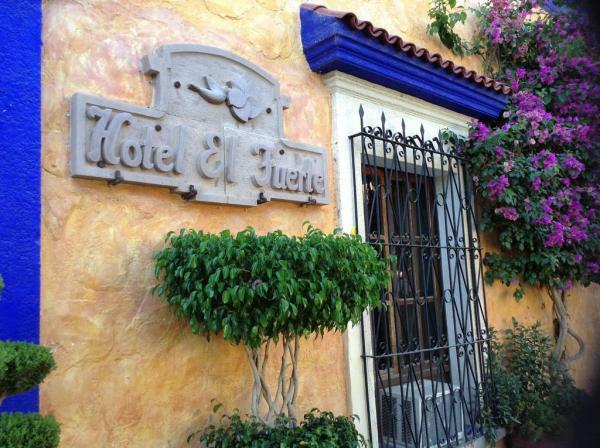 Welcome to Hotel El Fuerte, located in a lovely colonial hacienda. 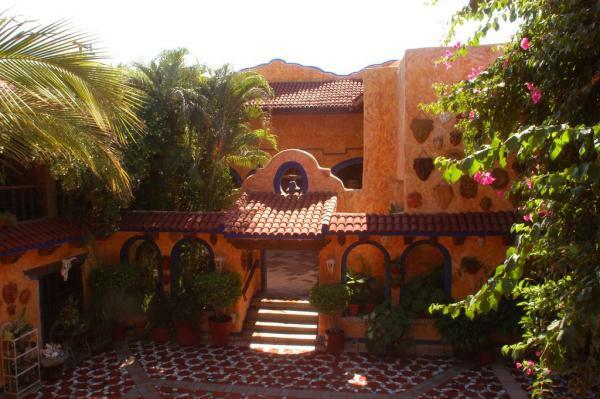 The beginning of the hacienda's construction is lost in the haze of time, believed to begin in the middle of the seventeenth century. 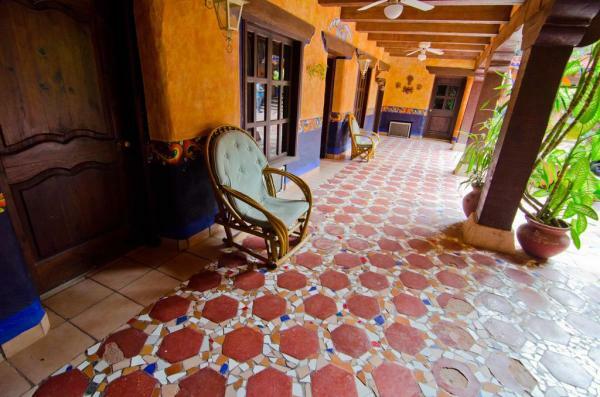 The hacienda has been restored over 20 years and continues to do so as an ongoing project. 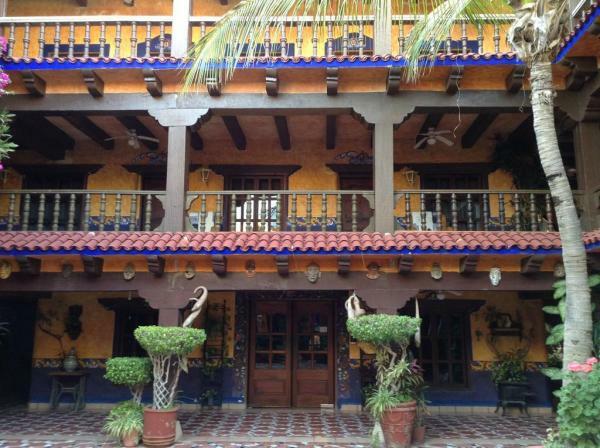 Currently this 300 year old hacienda welcomes guests to this remarkable landmark, full of the wonderful ambiance of yesterday. All modifications and changes were made without losing the original style of the house, but now with modern installations like private bathrooms, air conditioning, cable television, a bar and dining room. Complimentary Wi-Fi is available in the lobby areas. 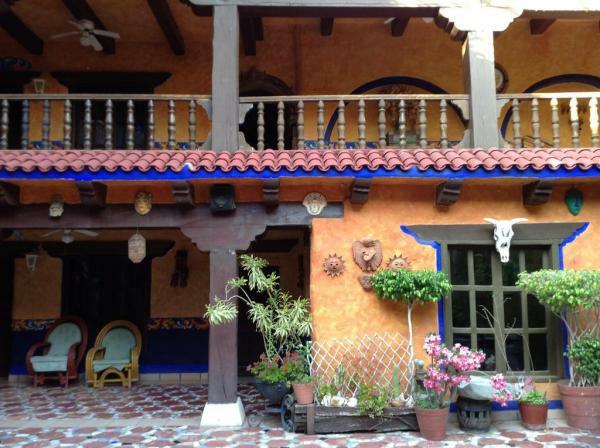 Throughout the entire structure are high open beamed ceilings, two to three foot thick walls, mexican tile and marble floors, various niches and hand painted decorations. 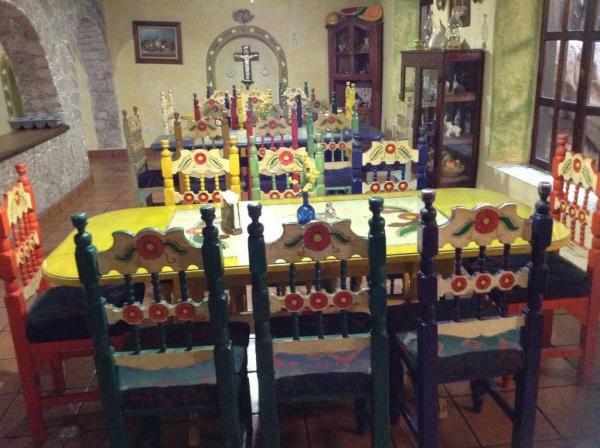 All furnishings are in keeping with the Spanish Colonial Era, including numerous antiques. The hotel also boasts a large collection of artifacts and local art on display. 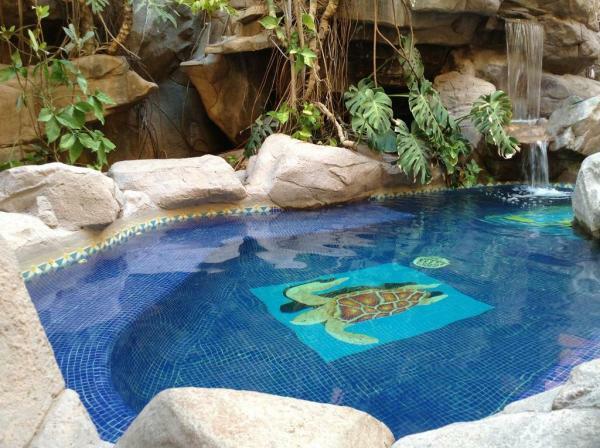 In the courtyard, natural and artificial huge boulders form a 15 person jacuzzi with a 12 foot high waterfall. Plants and bugambilias create a most relaxing private patio. 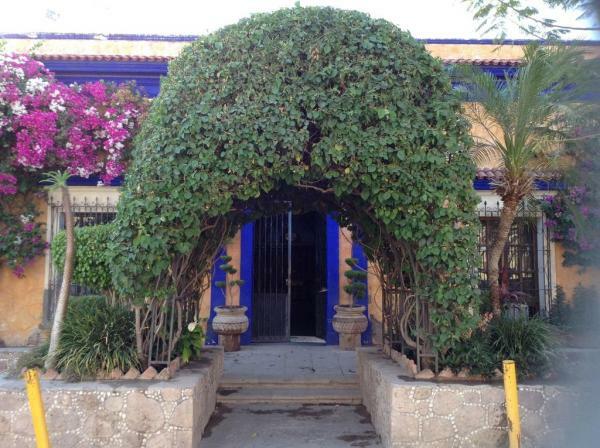 The central garden patios are all paved in Mexican tile with lush green foilage and flowering bugambilias. 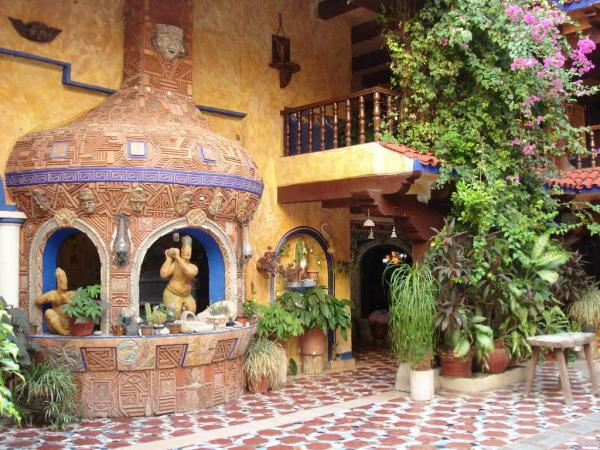 The hacienda offers guests an onsite bar and restaurant, with a menu full of regional dishes. 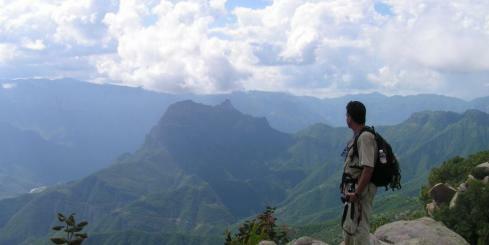 With no doubt, Hotel El Fuerte is the most beautiful and preserved hacienda in northern Mexico. 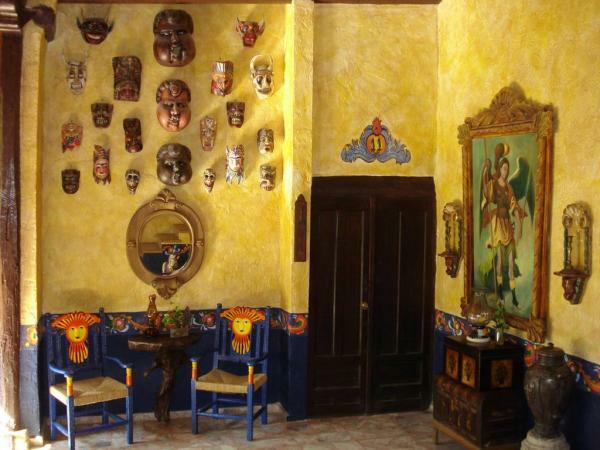 All the rooms at Hotel El Fuerte have been meticulously restored to maintain the historical beauty. 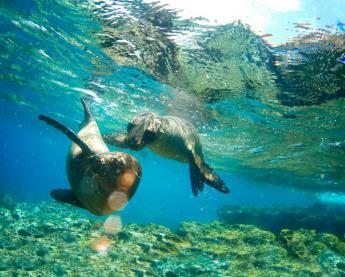 Due to this, rooms vary in size and have a variety of bedding arrangements. 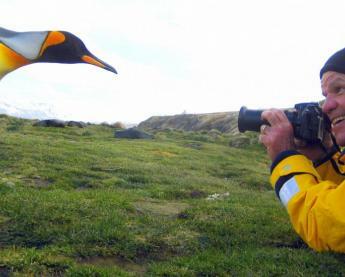 Modern amenities have been added to increase the rest available to guests of the hotel. 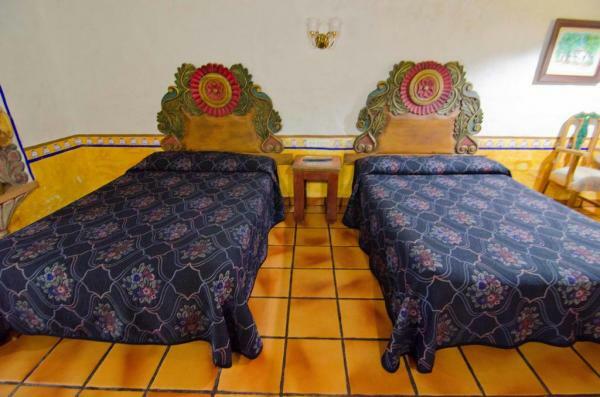 All rooms are securely located opening to the inner courtyard, ensuring for a good nights sleep after a day of exploring the colonial town of El Fuerte. Each room includes a private ensuite bathrooms with hot water showers, cable TV and air conditioning. 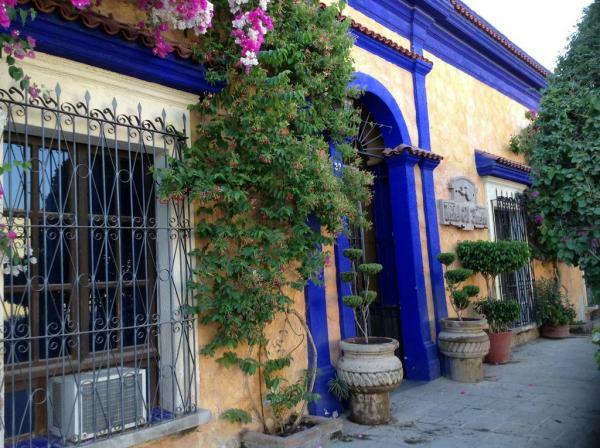 Located in the prime historic district at the corner of 5 de Mayo and Montesclaros streets, Hotel El Fuerte is conveniently located adjacent to the Old Fort site, one half block from the Church of the Sacred Heart, City Hall, El Fuerte River and Central Plaza History. 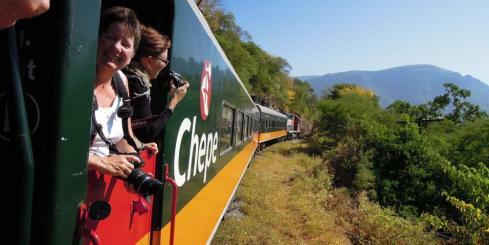 It proudly hosts guests in one of the oldest houses in el fuerte de montesclaros.